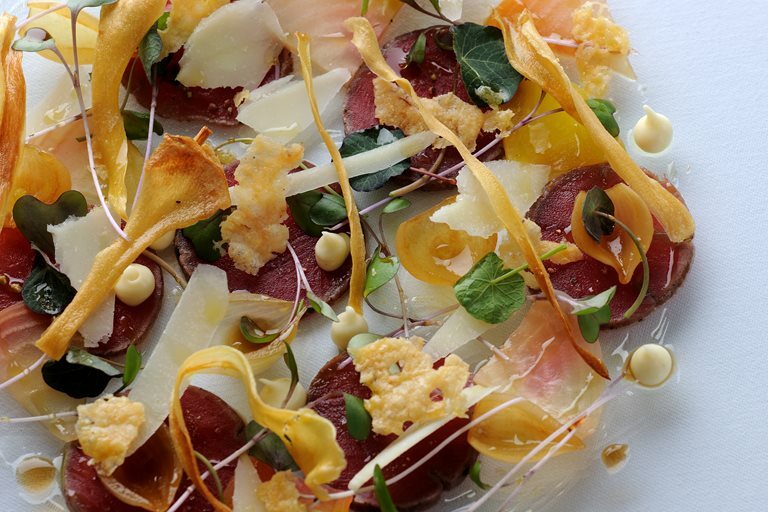 Paul Ainsworth's elegant venison recipe transforms venison loin into a stunning carpaccio with wonderful parsnip purée and crisps. A bundle of baby beetroots completes the picture, resulting in a marvellous symphony of textures and tastes. You can ask your local butcher to prepare the venison loin for you.